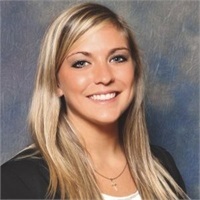 Hannah Behnkendorf is an Investment Advisor Representative and Securities Supervising Principal for Central Financial Group. She graduated from Iowa State University with a BS in Finance, Marketing, and Management in 2012. Hannah currently holds FINRA Series 7, 66, and 24 securities registrations in addition to her Iowa Life and Health Insurance Licenses. She has been on the operations side of the securities business for 5 years and is thoroughly enjoying her current role in compliance and supervision. Hannah strives to provide the highest level of support to all of the advisors, staff members, and clients of Clarity Financial Planning and Central Financial Group. I grew up in northern Iowa starting my first job as a gymnastics coach at the age of 12. From a very young age I learned that if you exhibit persistence, work hard and put your mind to it, anything is possible! I also learned that hard work must go hand in hand with showing compassion, kindness, and respect to others and make sure to carry those standards with me every day. I am married to my fun-loving and absolutely fantastic husband, Andy, who also happens to a financial advisor with our firm. We love to experience everything the Des Moines metro has to offer, volunteer, travel, play in our adult kickball league, and spend time with our family and friends. Clarity Financial Planning and Central Financial Group are independent of Signator.